Methi rotis or theplas are my favourite as I love methi flavour. These are perfect for packing in the lunch box or when you are travelling. You just need a little pickle to go with them. If you wish to serve them with curry you may do so. 1. Knead dough with all above ingredients with yogurt adding a little water and keep for 1-2 hrs. 2. Roll our the parathas and roast them on a griddle adding a little ghee. 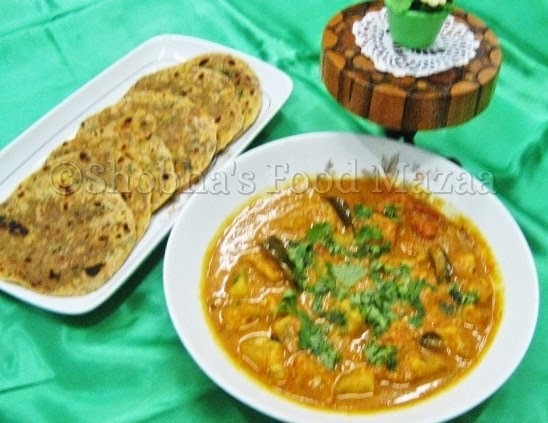 Healthy flavourful parathas, love it..
love it!....I make this very often! 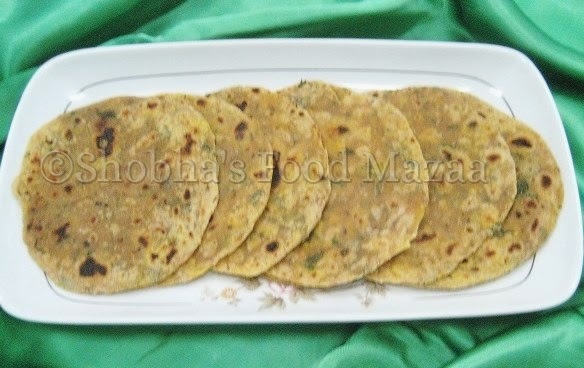 Perfectly made methi parathas. Looks inviting and thx for linking to the event. Love Methi rotis for its awesome flavor..
this is a healthy and yummy recipe. Have a nice weekend. Looks Delicious as usual !! !